HomeIrritable Bowel SyndromeWhat is the Treatment for IBS? You’ve already been to the bathroom 12 times today. That’s not a joke, it’s a literal count of the times you’ve had to go and use the restroom. If you had a stomach virus, or maybe a bug you caught at work or school, that would seem normal. But for you, it’s just another day. If this is you and the life you’re living right now, it’s possibly time to get treatment for IBS. 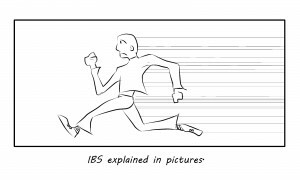 Treatment for IBS: What’s IBS? This is where most of the trouble occurs. Each of these control measures is currently being used in treatment for IBS. As always, consult your physician and/or registered dietician before employing any new treatment for an illness. There is some evidence that each of these drugs has a positive effect on the symptoms, and are currently used in treatment for IBS. As long as they are physician recommended for IBS, then personal preference and efficacy should be the criteria for usage of a laxative. Diet and High Fiber Intake – Diet is the Best Treatment for IBS that has been discovered so far. It has the best chance of controlling the symptoms that make an IBS life sometimes unbearable. There are several things to consider, and do, in order to make your IBS diet successful. Journal for an extended period of time so you can observe patterns of change and improvements in your bowel movements. Increase your fiber intake to the recommended levels. FODMAP Diet – What is FODMAP? It’s more of a list rather than a diet. It tells you the foods that you should avoid in order to reduce the gastric stress level. 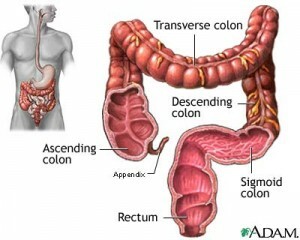 It also gives you foods that have been shown to have little or no ill effects on your bowel habits. Form, and add healthy bacteria to the gastrointestinal tract while decreasing harmful bacteria. Make sure and consult a dietician before using probiotics. If you suffer from IBS, remember one very important thing, you are NOT alone! 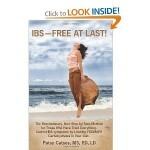 There are perhaps millions of IBSers out there and you can find treatment for IBS if you look. So don’t lose heart, but instead, seek out help. It’s only with information and support that your treatment for IBS will be successful. Which is NOT a symptom of IBS? True or False: Seeking psychotherapy is a good idea for the sufferers of IBS? Which is NOT a treatment option for IBS? The new FODMAP diet described in this book allows the sufferer of IBS to break free of traditional bland high fiber diets. 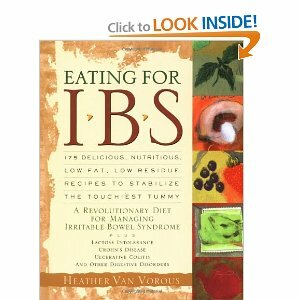 With a new look at all the foods which aid in IBS symptom relief, this book provides a newer, brighter dieting future. 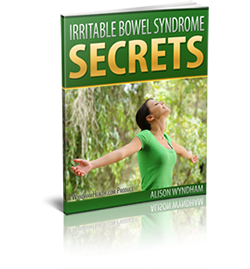 Irritable Bowel Syndrome Treatment is Possible! Irritable Bowel Syndrome Foods to Avoid with IBS Is There a Good Irritable Bowel Syndrome Diet? Are There Any Good IBS Diet Plans? I thought I’d post a thank you for all of the great information you provide, and for the product and literature recommendations you make to people suffering from IBS. My battle with Irritable Bowel Syndrome takes the same course every time: I find myself under stress and within an hour I feel the onset of IBS symptoms. I have tried a lot of home remedies, medications and treatments over the years, but never thought to treat the stress. Thanks for shining a light on what should have been obvious. Ken your frustration is exactly why we started this site. There are millions like you who suffer with conditions without much hope. If we can bring a new idea to you for feeling better, then we’ve had a good day. Thanks for sharing.